The first-ever study on service sector scheduling practices in Washington, D.C. was released yesterday, with researchers concluding that erratic and unpredictable work hours negatively impact employees and their families. 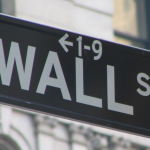 The report was released during a briefing in D.C.’s Wilson Building, with community groups packing the room to hear the results of the report and remarks from the authors, affected workers and City Councilmembers Elissa Silverman and Vincent Orange. “Unpredictable, Unsustainable: The Impact of Employers’ Scheduling Practices in D.C.,” issued by DC Jobs With Justice, Jobs With Justice Education Fund, DC Fiscal Policy Institute and Georgetown University’s Kalmanovitz Initiative for Labor and the Working Poor, draws on a survey conducted with 436 respondents in 2015, focusing on the retail and restaurant/food service industries. 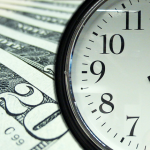 Consistent with previous research, the authors find that District employees are granted too few hours on too short notice, resulting in unpredictable incomes and work schedules that make it hard for individuals to budget, arrange childcare, continue with education or hold down a second job to try to make ends meet. “It’s frustrating and it’s stressful to not get hours. The money from 20 hours a week only gets me back and forth to work but nothing more for my family,” said Stephanie Dunn, who was interviewed for the report. Dunn, a part-time cashier at Marshalls has had her hours cut from 25 to 20 to 15 hours a week since joining the staff in October 2013. 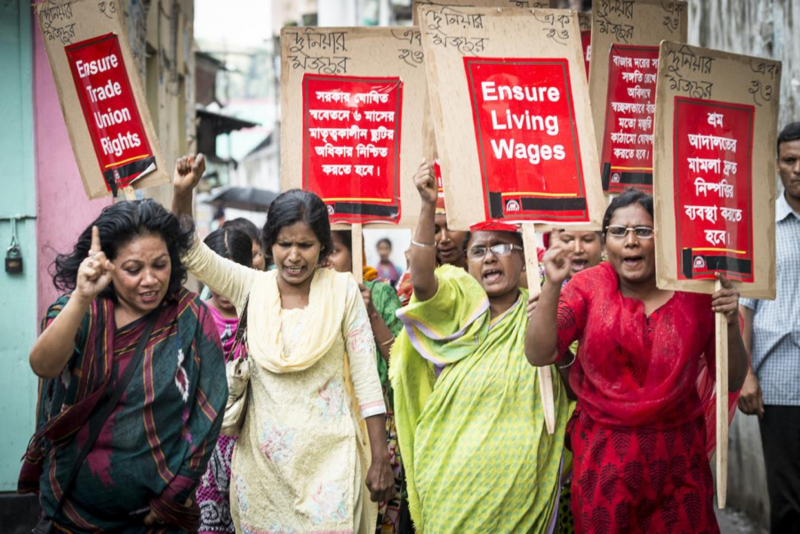 Low Pay Common: The typical employee works 32 hours per week at a pay rate of $10 per hour, well below $13.80, the living wage for D.C. government contractors. Second Jobs Required: Nearly one-quarter of individuals work at least one additional job. Lack of Advance Notice: Nearly half of employees reported first learning of their work schedules less than one week in advance; one-third receive initial work schedules with less than three days’ notice; and nearly one-third of retail and restaurant/food service employees reported receiving less than 24 hours’ notice of schedule changes. Life On Hold For On-Call Shifts: Individuals assigned on-call/call-in shifts appear to have a 50/50 chance of getting paid to work, despite holding time for their employers. Shortened Shifts: Half of those working in the restaurant/food service industry reported being sent home before working their full shifts. Part-Time Work, Full-Time Availability: 60 % of individuals said they must always be available to fulfill any assigned work schedule—regardless of the days or hours—in order to be considered for full-time hours or the best shifts available. Employees surveyed in the report said they might not request changes to their schedules out of fear, or direct experience of employer retaliation. Former PMI employee Fikirte Atlaw believes she was fired for asking for a different schedule after 25 years of working as a parking attendant for the company. After her husband passed away, she requested starting her job one hour later in the morning so she could manage dropping her son off at school. Atlaw’s experience mirrors results from the survey that found women in the service sector were far more likely to face retaliation when asking for a schedule change than men. “The women and men who serve our food, stock our shelves and sweep our floors deserve some security in their schedules to lead a good life. 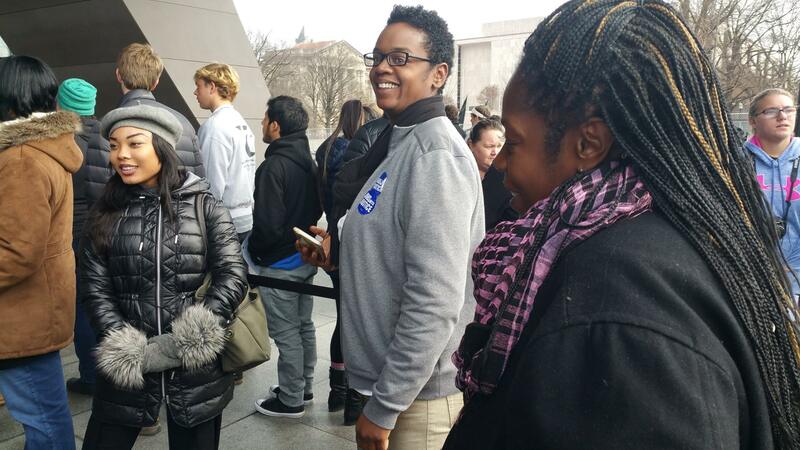 Encouraging and enforcing stable work scheduling practices will mark significant progress toward making Washington, D.C. a great place to live, work and sustain a family,” said Executive Director of DC Jobs With Justice Nikki Lewis. 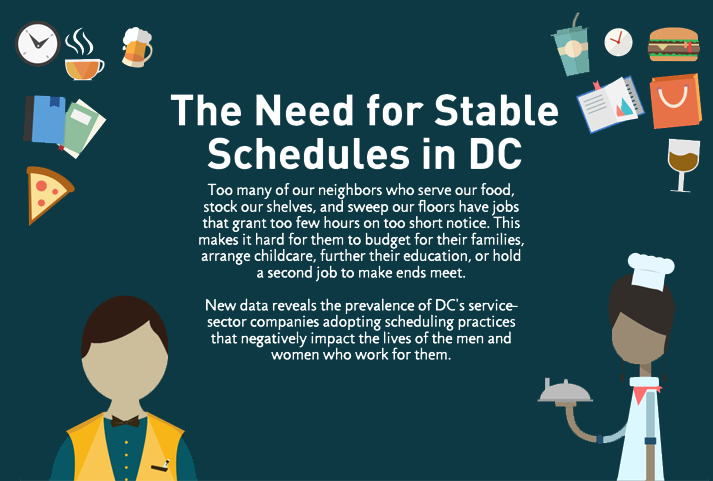 The report calls on D.C. policymakers to set new standards on scheduling predictability and promote access to stable hours that allow D.C. residents to strive. 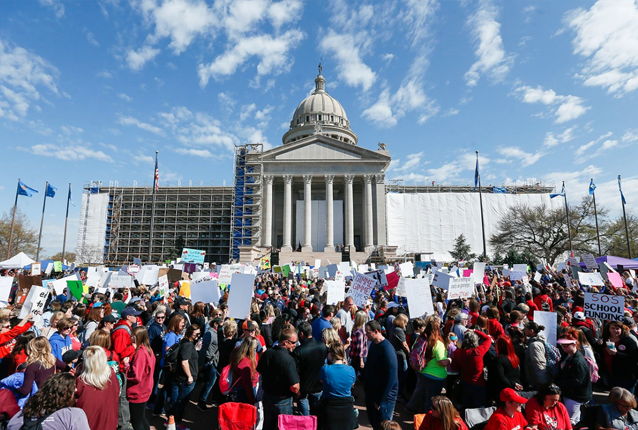 Strong public support exists behind these measures –- a New York Times/CBS poll released last week found that 72 percent of Americans favor requiring employers to give two weeks’ notice of changes to work schedules or provide employees with extra pay. Councilmembers Orange and Silverman expressed support for the report’s recommendations. Silverman described the report as “just the launch” of the campaign for fair and predictable schedules. Last year, San Francisco became the first jurisdiction in the country to pass scheduling protection legislation, requiring large chain stores to provide employees with notice of schedules two weeks in advance and mandating employees are paid for times when their shifts are canceled with less than 24-hours’ notice. 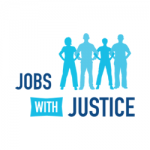 Jobs With Justice San Francisco led the campaign to pass the Retail Workers Bill of Rights, supported by a coalition of workers and community and labor advocates. The full report and executive summary of “Unpredictable, Unsustainable: The Impact of Employers’ Scheduling Practices in D.C.,” can be accessed at www.dcjwj.org/scheduling-report.